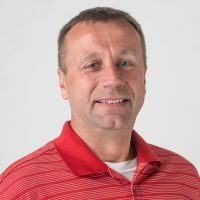 John Kaesmeyer was called to be the 5th & 6th Grade teacher and athletic director at Christ the Lord Lutheran School in 1995. His first call was to teach 5th & 6th Grade at Trinity Lutheran School in Nicollet, Minnesota. While growing up in Saginaw, Michigan, he attended St. Paul’s Lutheran School and Michigan Lutheran Seminary. He received a Bachelor of Science in Education from Dr. Martin Luther College in New Ulm, Minnesota in 1989. John enjoys teaching all subject areas, along with coaching soccer, basketball and softball.